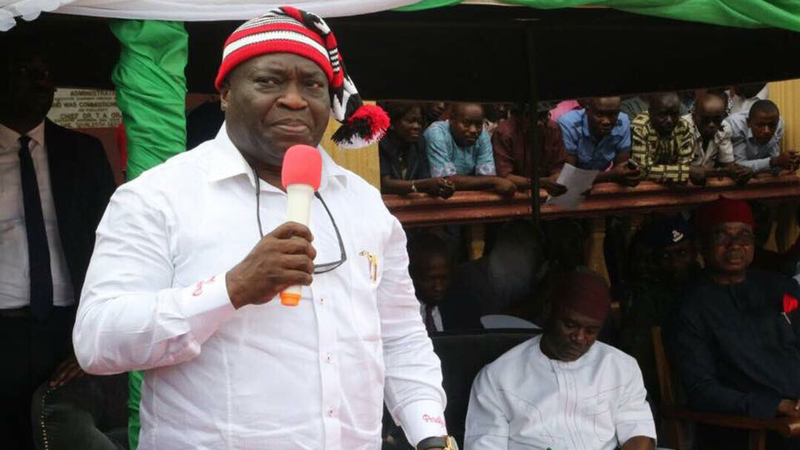 Abia State Governor, Okezie Ikpeazu, has presented a 139.5 billion-naira budget estimate to the Abia State House of Assembly for the 2019 fiscal year.He said the 2019 -2021 multi-year estimates proposal was carefully packaged, in line with International Fiscal Transparency principles. The budget, which was tagged: “Budget of Consolidation” comprised capital expenditure of N71, 728, 898, representing 51 per cent.It had a recurrent expenditure of N67, 813, 101, 235 billion, representing 48.6 per cent.The 2019 budget outlay was however less than that of the previous 2018, which was N140, 944, 885, 770 billion. According to the governor, taking into cognizance the economic down turn in the country, the government adopted several strategies to position itself appropriately to take advantage of the opportunities brought by the current realities in the country. He said the budget is envisioned to deepen the achievements recorded in preceding years and targeted to ensure the completion of government’s ongoing projects and programmes. Speaker of the House, Hon Chikwendu Kalu, commended the governor for the budget and pledged that the lawmakers would promptly do their statutory duty in passing it.